Do you want to know how to catch hogfish? Then find out the ways here as I will tell you the different techniques to catch the hogfish. After spending a lot of time in searching for it, I have come up with some of the unique and distinctive techniques. Fishing is more than just a hobby for some people. There are people who indulge in sports fishing activities for entertainment. Sport fishing is among one of the few ways of exploring the Florida coasts. One of the most preferred fish in the sport fishing domain in Florida is hogfish. But not every fishing enthusiast knows how to catch hogfish. There are a lot of things you should know before going to fish a Hogfish. The fishing rod is the most necessary, costly and vital equipment. It forms the backbone of the tackle, so you will have to purchase it first. The type of rod which you need would depend upon the casting lure’s size, fishing kind, the size of the line and the kind of reel that would set on the fishing rod. The standard rod for drift fishing can be 8.5'long. You will need a reel that will match the pole which you are using. The most usual reel that is used for drift fishing is baitcasting reel. It provides the best control in this type of fishing. You can use spinning reel﻿ too but it might act awkward in drift fishing. You will need a line that will match your fishing rod, reel, and other conditions. If the water is clear, it is important to use a light line. Fish catchers use different line weights according to the place of fishing, size of fish and other water conditions. You will need the hook matched with the bait. It will have to be sharp enough to penetrate easily. It is important for the hook to be sufficiently strong so that it can grasp a running fish. There are even some places that might need a single ﻿﻿﻿barbless hook. You will have to check whether the hooks are keen yet after the bait suspends up. A fish finder will help to spot your target fish under water. The equipment detects the reflected sound energy’s pulses just like in sonar. 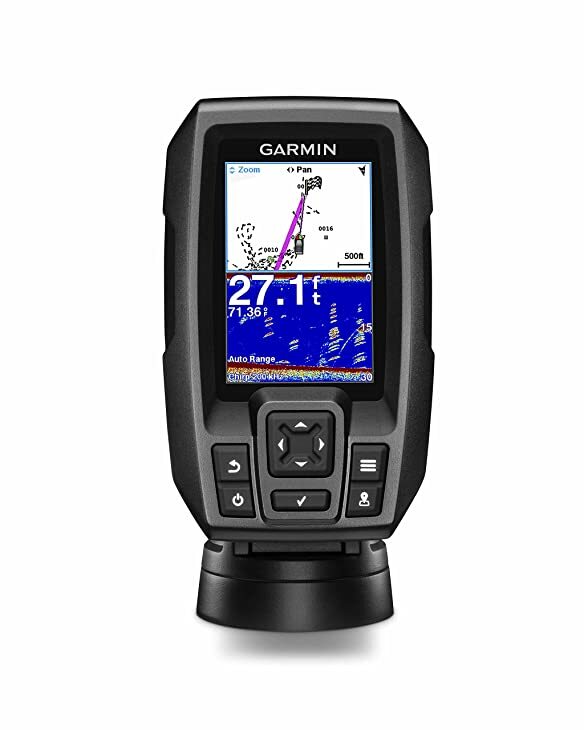 It serves as an incredibly valuable device for all fishers, anglers as well as all water loving individuals. Drift fishing in reefs can be interesting to catch hogfish. A reef that has already a good history might be the perfect place for this fishing. Or you might select such a place which appears possibly good on the hydrographic chart. After this, you can try to figure out the area where the fish could be more in accordance to the reef. And third the actual place of the fish. With the help of GPS, point out some areas where the sand meets the reef. Sometimes, the way through which the current is flowing can be easily figured out. It could be hogfish that holds on the sand next to the reef. You might not find any marks, but as soon as you find it, you will have to mark it on GPS. You can now set the drift for fishing the bait that has been chosen through the marks’ areas. Considering the tide and wind direction, the first drift might be a matter of guess. You might even escape the marks on the first drift. To verify the angle of the second drift, you can use the GPS tracks. You can relocate your startup position which will assure about getting it correct. However, accuracy might be attained in the third or fourth attempts finally. Although there are many techniques of drifting to catch the hogfish it might be better to use soft plastic lures to fish. You won’t need a long rod as casting is not required while fishing in deep waters. A short, lightweight, parabolic high-carbon rod is perfect for fishing in deep waters. Soft plastic rigs, including lumo, would perform well in deep waters. If you are slow jigging, moving the rig too much might not be right. You could make the fish move or drift on the bottom or can alter the depth through a float or bobber. The baits that are natural work excellently here. Artificial flies, lures, and jigs will create better results in drift fishing. Drifting can be done anytime or the day on lakes, rivers, ponds as well as streams. Cut, as well as live baits, can be moved with the help of weight on the line. This will keep it close to the bottom or hanged below popping cork or bobber. ​I hope you have got to know many things about a hogfish in this article and you can now try the technique to catch it. If you are employing drift fishing to catch hogfish, it is important to have the perfect equipments as it is mentioned above and follow the prescribed techniques correctly to be a successful hogfish catcher ultimately. If you would like to know more techniques of catching a hogfish or any other thing related to it, let us know. We will try to help you out with that.